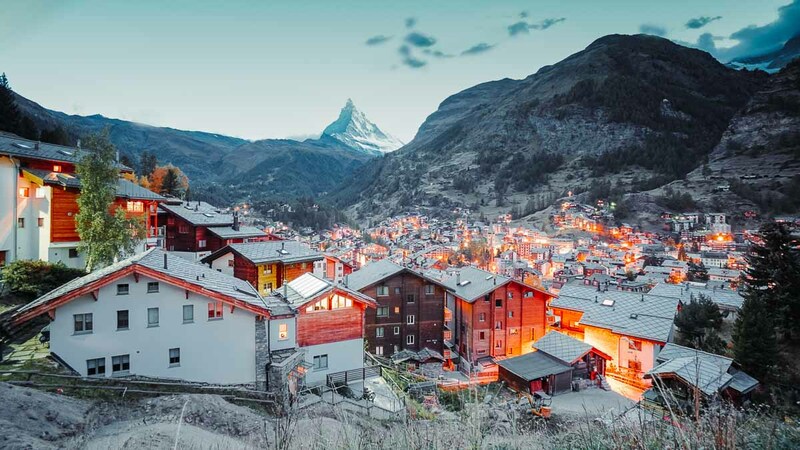 Paraglide between the scenic valleys of Lauterbrunnen, ride one of the world’s steepest open-air funiculars, and catch the sunrise against the iconic “Toblerone” Matterhorn mountain — all for under S$2.3k across six cities in Switzerland with the Swiss Travel Pass! Switzerland might be an expensive destination — a standard meal at McDonalds costs ~S$15, that says a lot eh? 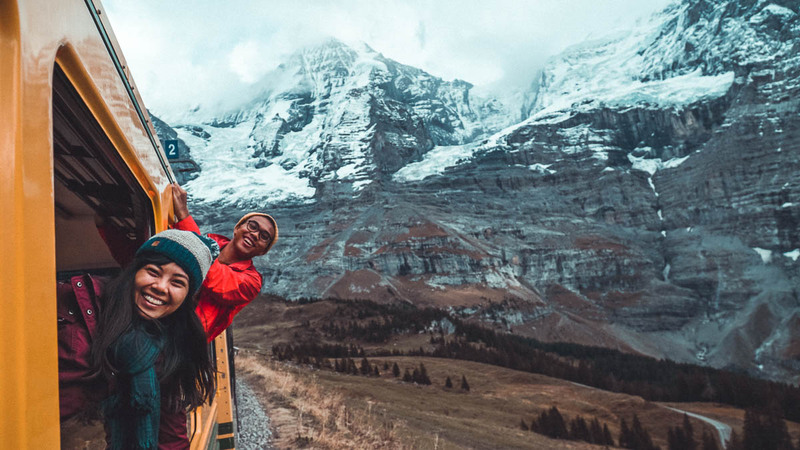 — but this itinerary will prove that you don’t have to be crazy rich (or asian, for that matter) to experience the best of Switzerland under a S$2.3k budget. We’re talking about visiting Europe’s highest point, watching the sunrise at the Matterhorn mountain, and sliding down the Fräkigaudi Sommer with the Swiss Alps in the background, among others. Unless you’re planning to drive through Switzerland (petrol is crazy expensive btw! ), the Swiss Travel Pass is an absolute essential for getting around without bursting your budget. 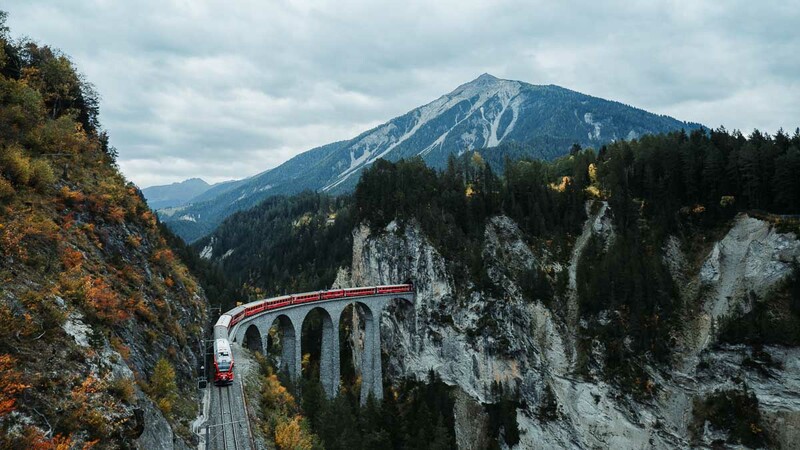 Apart from including your train rides, the Swiss Travel Pass also covers an extensive network of buses, boats and 500 museums across the country. Cable cars and cogwheel trains up the mountains are especially expensive in Switzerland but with the Swiss Travel Pass, we got most of these tickets at a discount of up to 50%. Some of the mountains include Jungfraujoch, Grindelwald First and Pilatus. 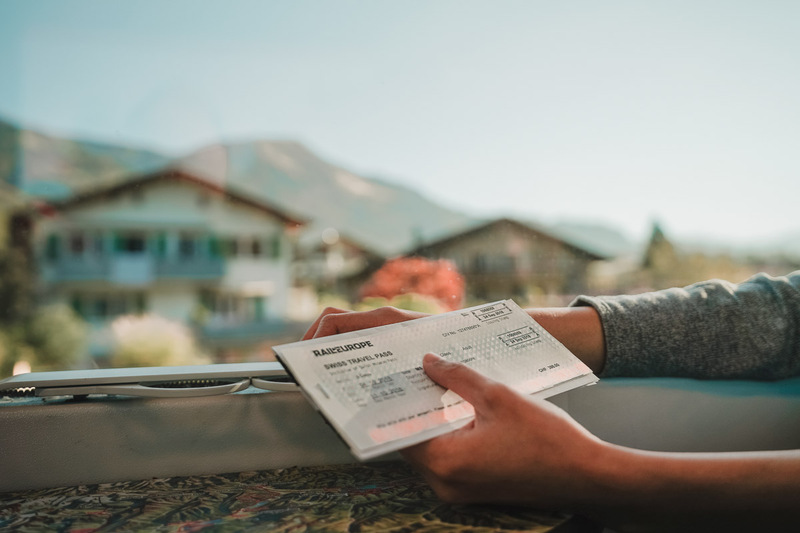 More details in our guide to maximising the Swiss Travel Pass. The Swiss Travel Pass is available in 3, 5, 8 and 15 days but for this itinerary, the 8-day pass worked best! We flew into Zürich, rented a car to cover our first day of transport to Lucerne and around, before activating the pass for Day 2 – 9. Once back in Zürich, you can get around the city either by walking or you can purchase a ZVV day-pass — valid for 24-hours. Using the pass only within Zürich meant that we were covering two zones, which set us back CHF17.60/pax for the day. An hour away from Zürich Airport by train or car, spend two days in the historic city of Lucerne. 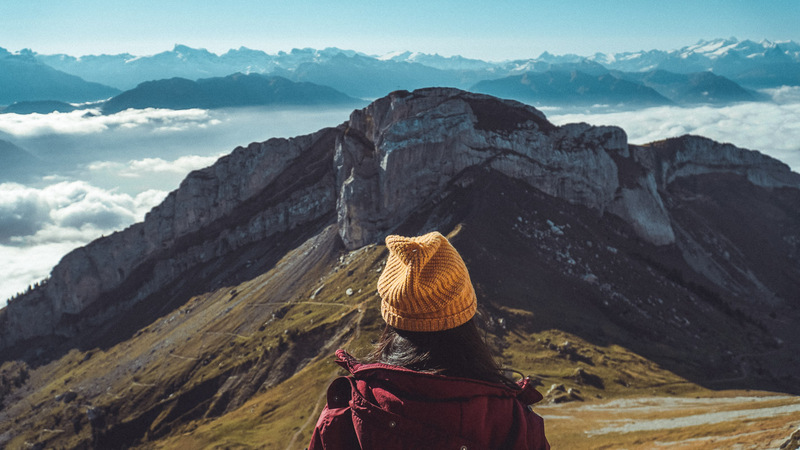 Explore its charismatic old town, get to the top of Mt Pilatus via the famous Golden Round Trip, enjoy a panoramic view of the Swiss Alps from Mount Rigi, and be sure to visit the Victorianox Museum to get your own personalised Swiss Army Knife! Accommodation: Airbnb — private room in a shared apartment for three pax at ~S$158/night, 15 mins from Lucerne main station. 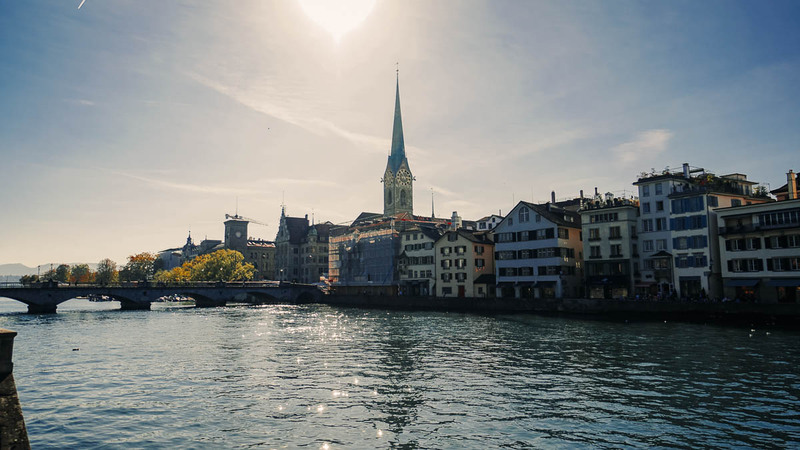 Transport: Commute via public trains with the 24-hour ZVV day-pass or rent a car from Zürich Airport and drop off in Lucerne (~CHF100/day, ~S$137). 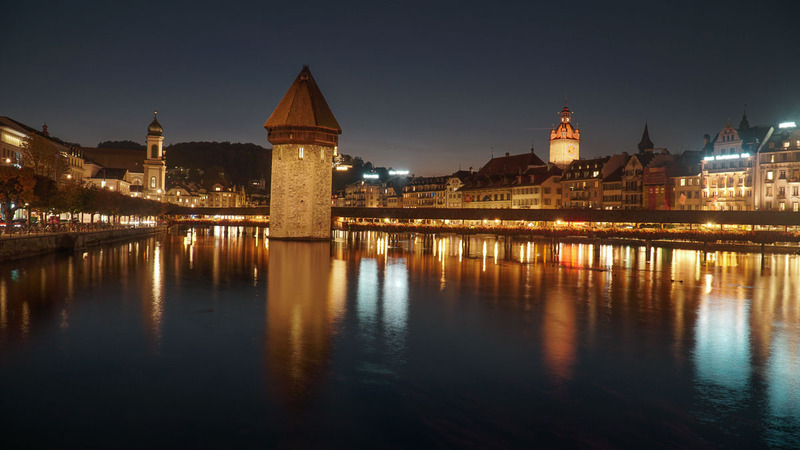 Admire Lucerne’s medieval architecture including Europe’s oldest wood-covered bridge of Kapellbrücke, and the nine fortified towers of Musegg Wall. You could spend the afternoon enjoying coffee by the Reus riverside at Mill’feuille, or get a drink with a bird’s eye view of Lucerne at the elaborately-decorated Hotel Château Gütsch bar at night. How to get there: Walk across the Bahnhof Luzern (main train station) to the old town area. The old town is situated along the Reus river. While there are Victorinox stores all around Switzerland, this particular Victorinox Outlet in Brunnen is a store, museum and visitor centre all in one. 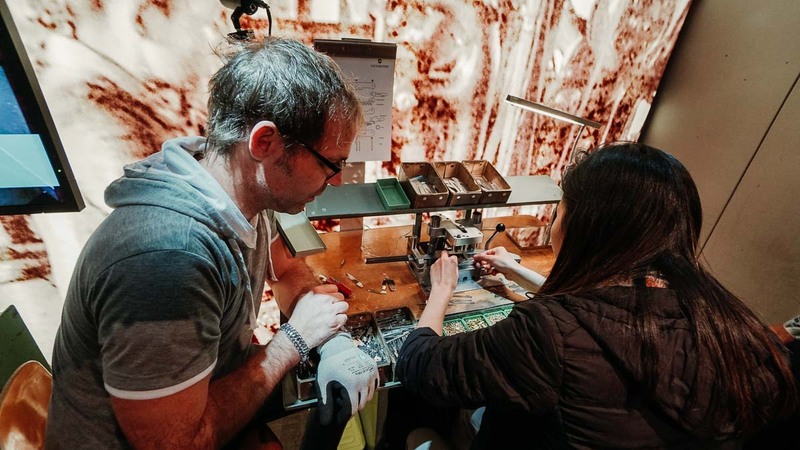 But the highlight for us was getting hands-on and making our own Swiss Army Knife from scratch — the process only takes 15 minutes, and you can even get your name engraved at the end. Advanced bookings via e-mail for this experience is required. Besides wandering around the museum, there’s also a 1.5hr tour to learn all about the family business and its products, including a visit to the chocolate factory and winery! 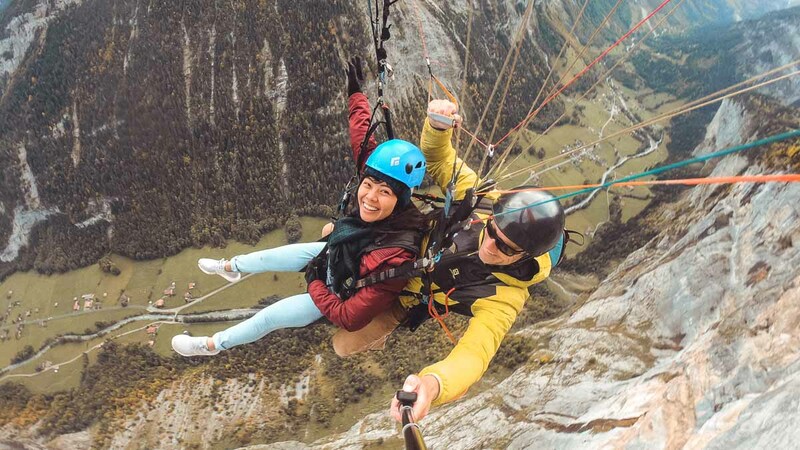 Go big or go home — spice up your tour experience by adding on fringe activities to the agenda. 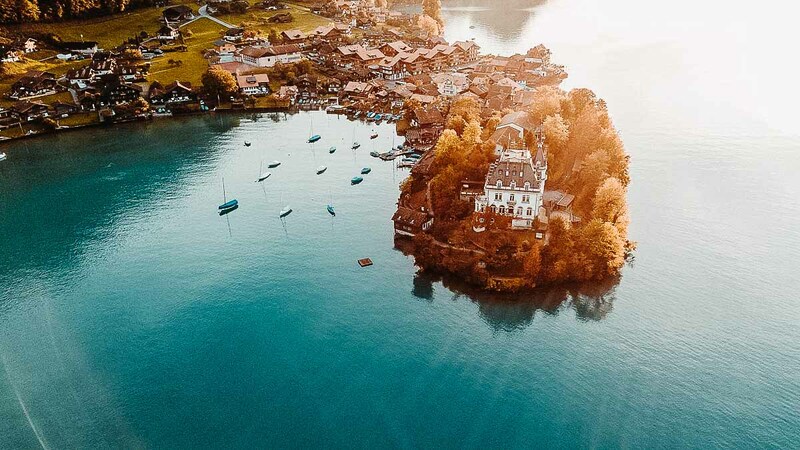 Think: a round trip on the Urnersee cruise to see Lake Lucerne, a half-day hike in historic Switzerland, or drinking brandy at the Arnold Dettling AG Kirsch Distillery tour, just to name a few. Opening Hours (Visitor Center): Generally 10AM – 5PM (Closed on Mon, Sun & PH). Closing times may differ. 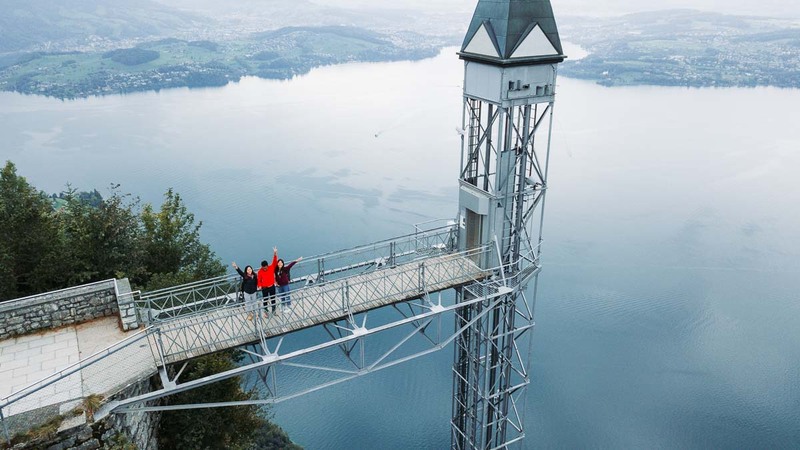 Located at the top of Bürgenstock mountain, the Hammetschwand lift is the highest outdoor lift in Europe and offers a panoramic view of Lake Lucerne. Unfortunately, this one’s only accessible by car but is a much cheaper option to Pilatus or Tiltis (especially without the Swiss Travel Pass). The famous Golden Round Trip takes you to various points of Mount Pilatus through five different modes of transport — by boat, cogwheel train, aerial cable way and cable car up, followed by a bus back to Lucerne Station. Check out the Golden Round Trip interactive map to understand how the route works (more details in our Swiss Travel Pass guide)! At the peak, there are many hiking trails available but our favourite is the 40-minute Tomlishorn hike. A ‘low effort, high returns’ hike, this trail is an easy one with endless photogenic views that get better as you walk on. To get to the starting point, walk past the restaurant area, and you’ll see the signage to the start of the hike. 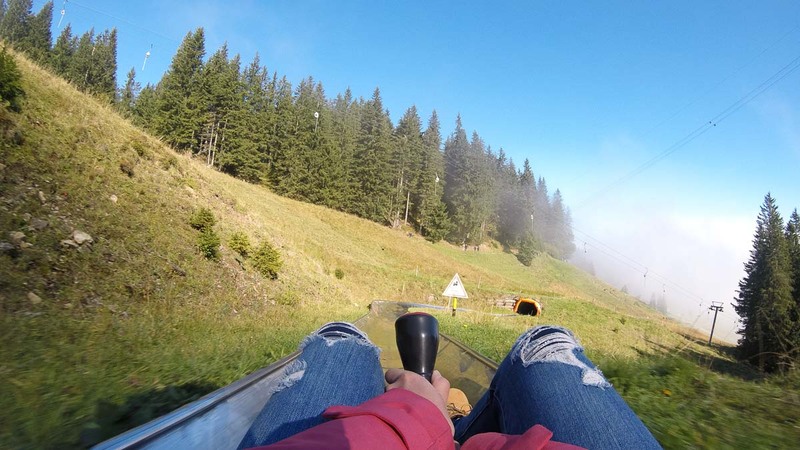 On the descend, take the aerial cable way and get off at Fräkmüntegg station for the Fräkigaudi Toboggan (CHF8/ride) — Switzerland’s longest Summer Toboggan Run at 1,350m long. Adjust the handle to suit your need for speed as you zoom down the curves of the slide. Once at the bottom, don’t worry about lugging your Toboggan back up because you’ll get pulled back up to the top. If you intend to take photos/videos, strap your GoPro to your body because both hands are needed to manoeuvre the Toboggan. The total travelling time up and down Mount Pilatus takes ~2.5 hrs. Factor in one hour to ride the Fräkigaudi Toboggan and extra time to explore Mount Pilatus itself, so set aside about 4-6 hours for the whole experience. Cost: CHF108. CHF36 with Swiss Travel Pass. Transport hours: First cogwheel ride up from Alpnachstad to Mount Pilatus at 8:30AM. Last connection down to Kriens on the cableway leaves Pilatus Kulm at 5:30PM. 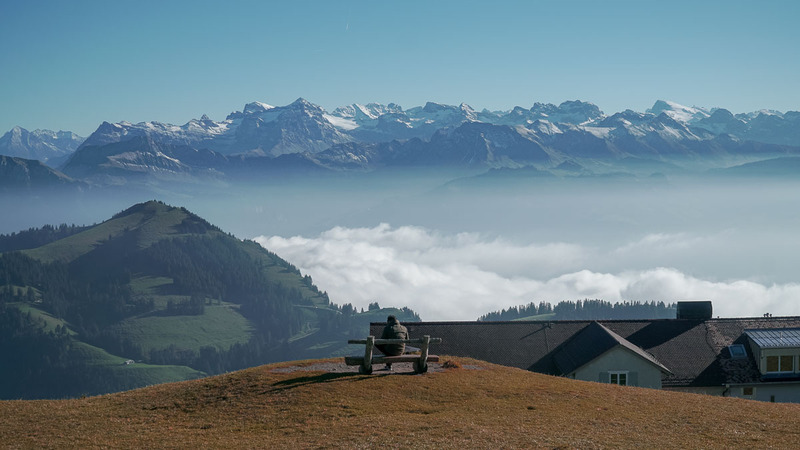 The train ride up to Mount Rigi is entirely free for Swiss Travel Pass holders, so you’ll want to visit this on the day your pass is activated. 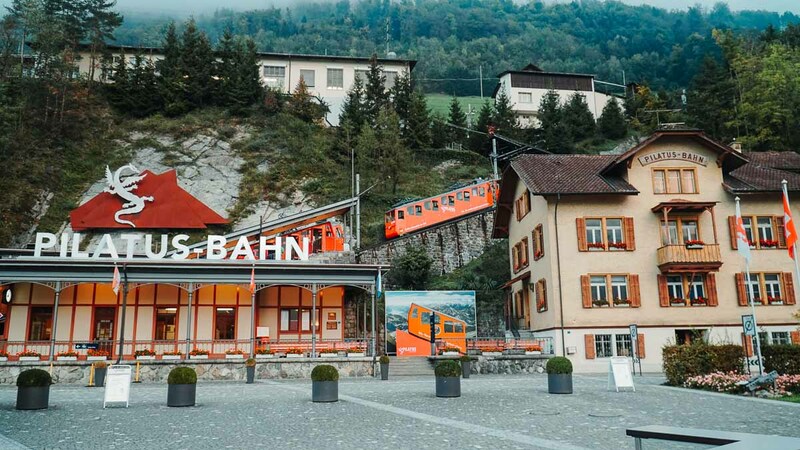 There are two routes up and down Rigi Kulm — either take the cogwheel train from Arth-Goldau (37mins) or Vitznau station (32mins). 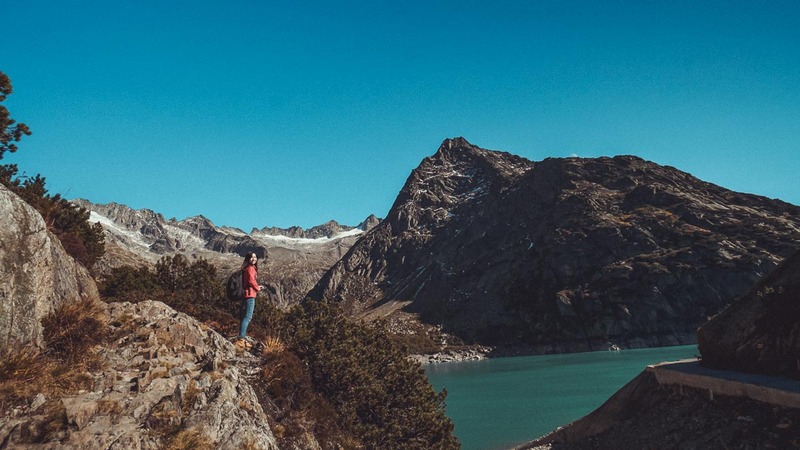 From there, it’s a 15-minute hike to the top where you can view over 13 lakes and the whole of the Swiss Alps in a full 360-degree panoramic view. The clear skies, vast grass plains, and fresh Swiss air make for a perfect picnic! Interlaken, a backpacker-friendly city and the perfect base for day trips to surrounding adventures. What to expect: paragliding in Lauterbrunnen — between valleys that inspired the LOTR movies, riding the Gelmerbahn — Switzerland’s steepest open air Funicular, challenging your vertigo on the Thrill Walk — 200m-long walkway made of glass and metal wires, and last but not least, making it to Jungfraujoch — the highest train station in Europe. 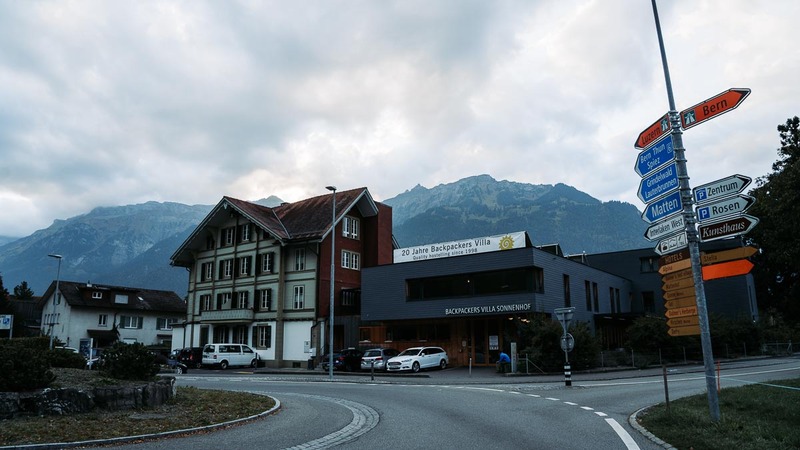 Accommodation: Backpacker’s Villa Interlaken (Hostel) — CHF43/bed in a 6-bed mixed dorm, 10min walk from Interlaken OST Station, or 5min ride on Bus 102 (towards Interlaken West) alighting at Sonnenhof Station. From Lucerne – Interlaken: Ride the Luzern-Interlaken Express (~120 mins). It departs every hour from 7:05AM to 3:05PM except 8:05AM. 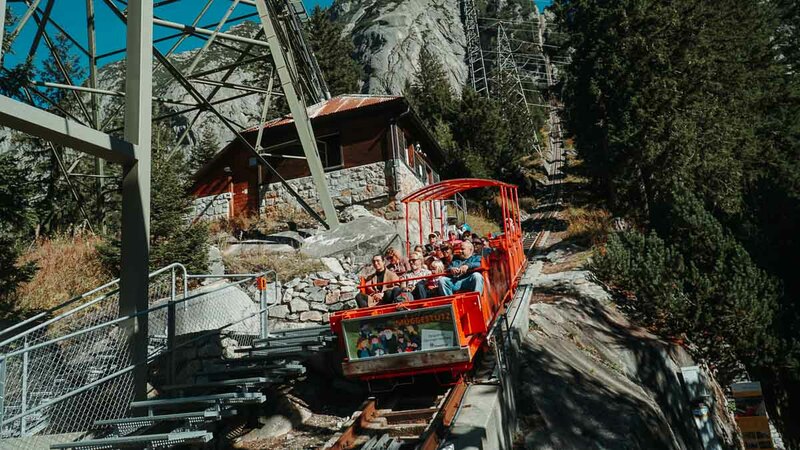 A cargo-railway historically built to transport heavy materials for the construction of the Gelmer dam, the Gelmer Funicular is now a funicular attraction, the steepest of its kind with an inclination of over 106 degrees. Open air and securing its passengers with only one bar across, this funicular ride is for the acrophiles out there. Queue early to get seats in the first two rows for unobstructed views as you ascend! At the top, take a short five-minute hike to see the Gelmer Lake and its turquoise waters. It’s possible to hike around the whole lake (~2h50mins) but the best views are probably from the right side, towards the dam and only a five-minute hike. 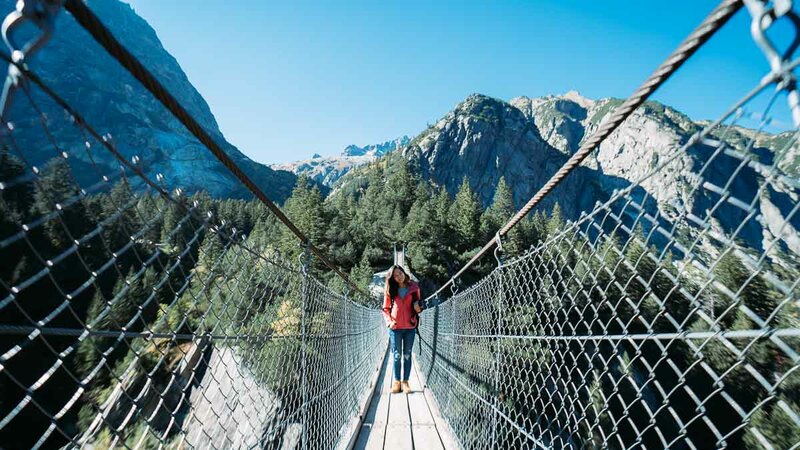 Once back down, continue your adventure by hiking to the Handeck Suspension Bridge. It hangs 70m above the Handeck gorge, with a view of the Handeck Waterfall. How to get there: Take the Line 470 Train from Interlaken OST, followed by Bus 171 (2h 17min). Alight at the Handegg, Gelmerbahn bus stop. *Pro-tip: Book two-way tickets three days in advance as tickets sell out quickly! If you only have a one-way ticket to the top, the only way down is a two-hour hike. The small fishing village of Iseltwald is a hidden gem with cosy holiday chalets and leisure activities like kayaking. 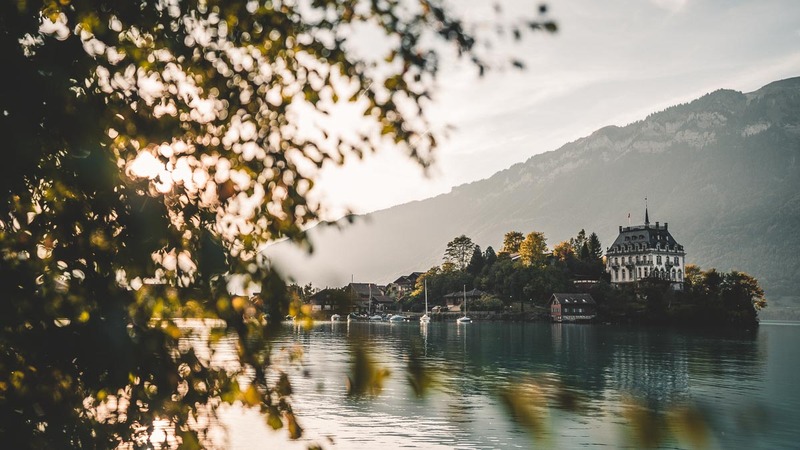 Walk down the quaint streets and see the Iseltwald Castle across the turquoise waters of Lake Brienz. While most people go to the Lake Brienz Station to enjoy the lake, we feel that the view from Iseltwald is more magical. Have a picnic here, and watch the sun set across the horizon! How to get there: From Interlaken Ost station, take bus 103 to the last stop of Iseltwald Dorfplatz (15mins). There are a few paragliding spots from Interlaken but nothing beats the experience of flying between the valleys of Lauterbrunnen. Running off from Mürren, we flew really close to rock faces, waterfalls, and over the scenic village huts of Lauterbrunnen, all while enjoying the Swiss Alps in the distance. I don’t think there’s anywhere else in the world with an experience like this. If you’re confident, you might even get a chance to take over the flight for bit! 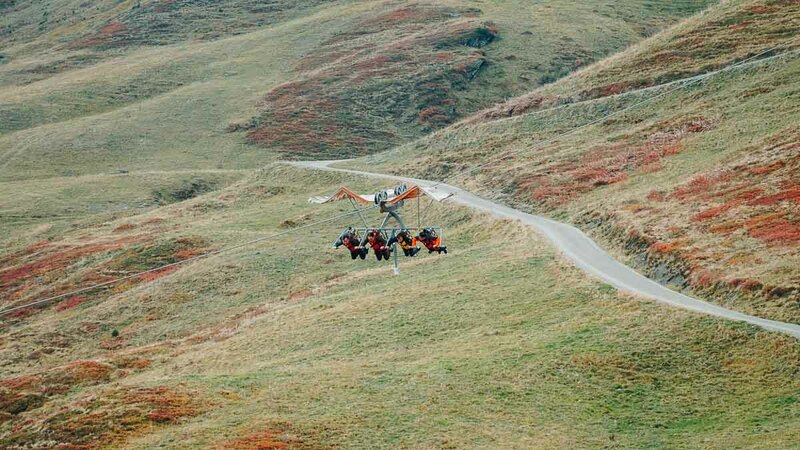 For the daredevils, you’ll even get to enjoy their signature “roller coaster” as they spend the last minute or two making sharp drops and swerves before landing safely on the ground. Your heart is sure to get a good healthy dose of adrenaline for the day. We signed up with Airtime Paragliding, which entitles you to a free drink (a coffee, hot chocolate or even a beer!) at the Airtime Cafe in Lauterbrunnen town. Cost: CHF170 (~S$232). Additional CHF40 for GoPro rental. Right next to the landing spot for paragliding is the cable car station that brings you up to Schilthorn. Swiss Travel Pass holders get to ride this cable car for free! Just show your tickets at the counter to collect your ticket. 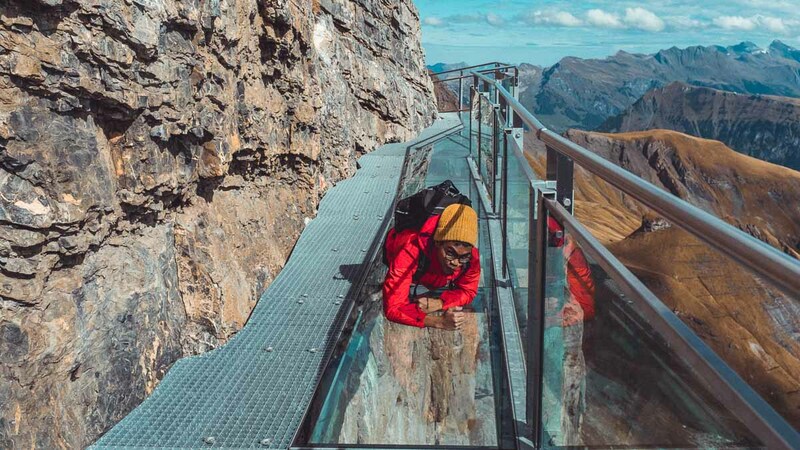 Make a pit stop at Birg Station for the Thrill Walk — a 200m walkway of clear glass panels and grills overlooking plunging depths of over 2,670m. If you’re feeling lion-hearted, lie flat on the clear glass panels for the full vertigo effect! After that, hop on the next cable car to head further up to the Piz Gloria Schilthorn Summit — the actual set of ‘James Bond: On Her Majesty’s Secret Service’. Walk around the James Bond museum or dine above the clouds at the Piz Gloria revolving restaurant. Cost: CHF82.60 (roundtrip). Free with Swiss Travel Pass. How to get there: From Lauterbrunnen, take bus No. 141 to the Stechelberg Schilthornbahn. The cable car to Mürren departs every 30 minutes. Alternatively, take a cable car from Lauterbrunnen to Grütschalp, then a train to Mürren. 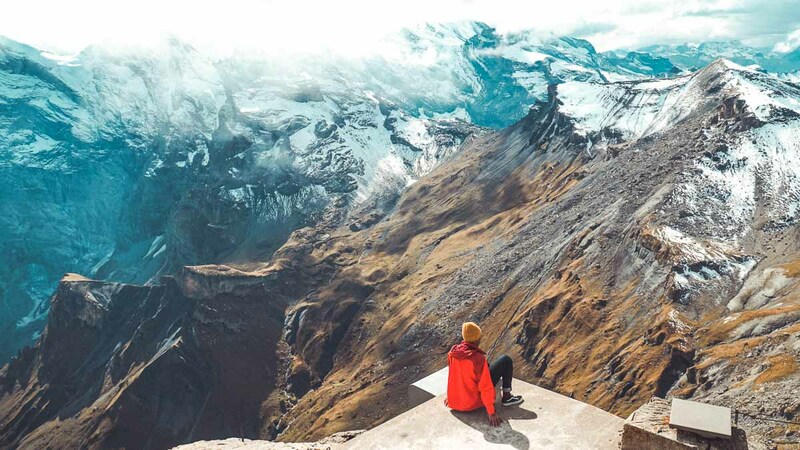 Get 3,454m above sea level at Jungfraujoch for icy air and views of Switzerland’s 4,000m peaks. While there’s a high chance that the view above will be foggy, the ride on the Jungfrau railway is arguably one of the most scenic! At the top, walk through the Ice Palace, Alpine Sensation and watch the Jungfrau Panorama. Before leaving, send a postcard at Europe’s highest mailbox. Stamps can be purchased for CHF2 and postcards for CHF3, but you can bring your own postcard. Opening Hours: First train leaves Interlaken OST at 6:35AM (arrives every 30 mins). Click here for detailed timings. How to get there: From Interlaken OST Station, take the Bernese Oberland Railway to either Lauterbrunnen or Grindelwald (20/35 mins). 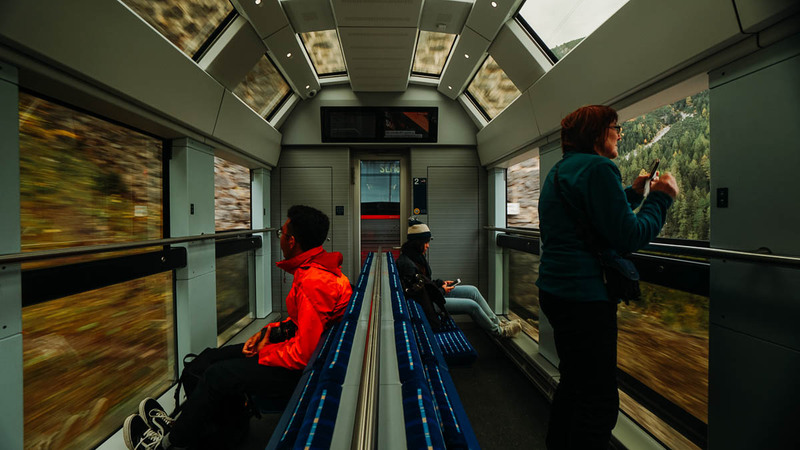 At either station, take the Wengernalp WAB cogwheel train to Kleine Scheidegg Station (30–45 mins). Finally, transfer to the Jungfrau Railway to Jungfraujoch (50 mins with two sightseeing stops). Located in the heart of the Bernese Alps, Grindelwald First is an adventurer’s playground. 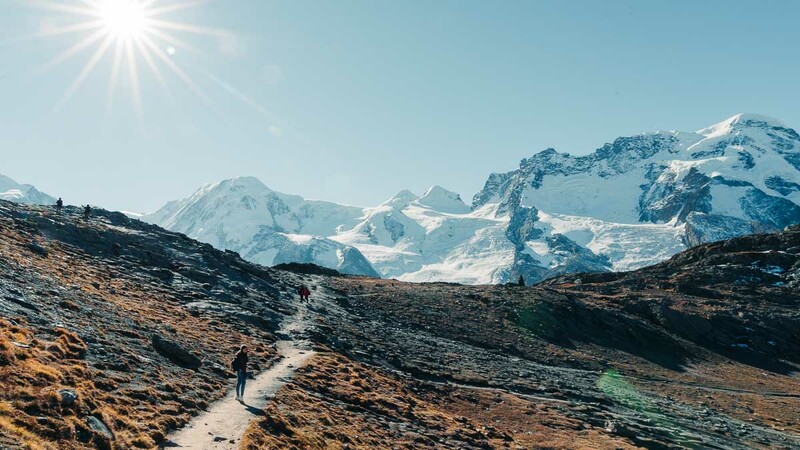 Be it on the way up to Grindelwald’s peak, or on the way down, — there are hiking trails and thrill-activities populating the whole area, promising non-stop alpine excitement. Ride the gondola up to the Mount First Top Station, and start your Grindelwald Hike to Lake Bachalpsee. This is an easy hike that crosses alpine meadows to the Bernese Alps. The reward: the crystal-blue, (literally) glistening Bachalpsee Lake, with the peaks of Wetterhorn and Schreckhorn in the distance! Back at the Mount First Top Station station and on the way down, there are five adventure activities you can try to satisfy your inner adrenaline junkie. 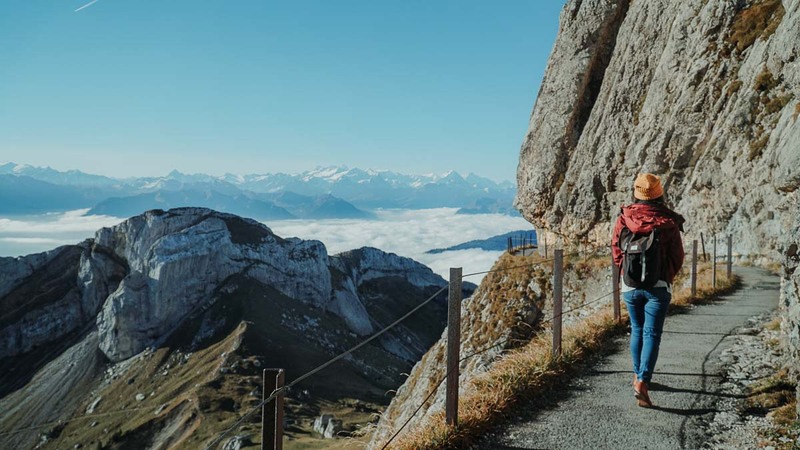 Try out the First Cliff Walk by Tissot, the First Flyer (zipline), the First Glider (Eagle glider ride), Mountain Kart (go-kart/sled vehicle) or Trotti Bike (scooter) all the way back to the base of Grindelwald. Wanna try everything? 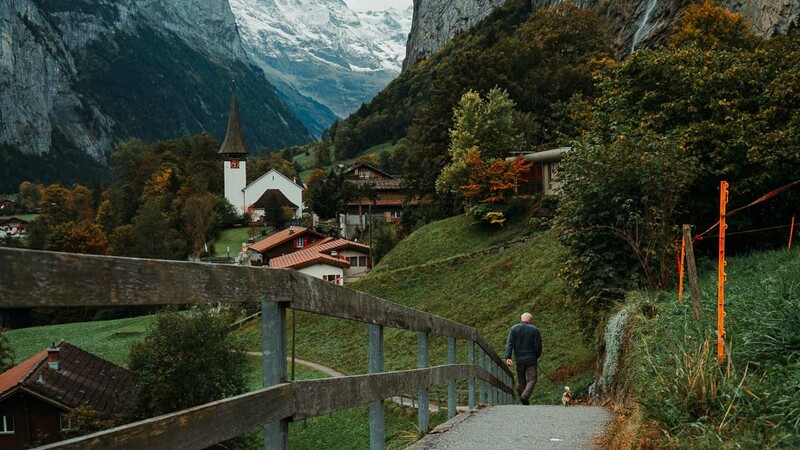 Go for the cheaper 4-in-1 package (Grindelwald First Top Adventure), which sets off from Zürich and gives you a full day of thrill activities and sightseeing at the same time. Opening Hours: 8:30AM – 4:30PM. 3 Apr — 28 Oct only. Check website for updates. 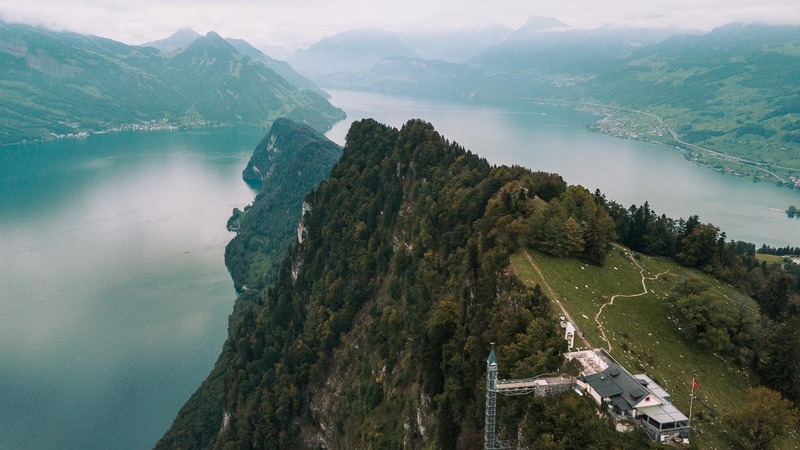 Crossing into Montreux, you’ll first realise the stark difference between the German-speaking cities of Lucerne and Interlaken and French-influenced Montreux. 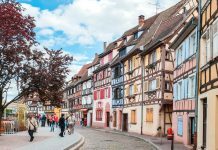 Other than its French-influenced architecture, Montruex has the Swiss Alps as a backdrop and Lake Geneva at its doorstep. It’s a place to unwind due to its serene atmosphere and slower pace of life. Even getting to Montreux via the Golden Pass Line is an experience in itself. 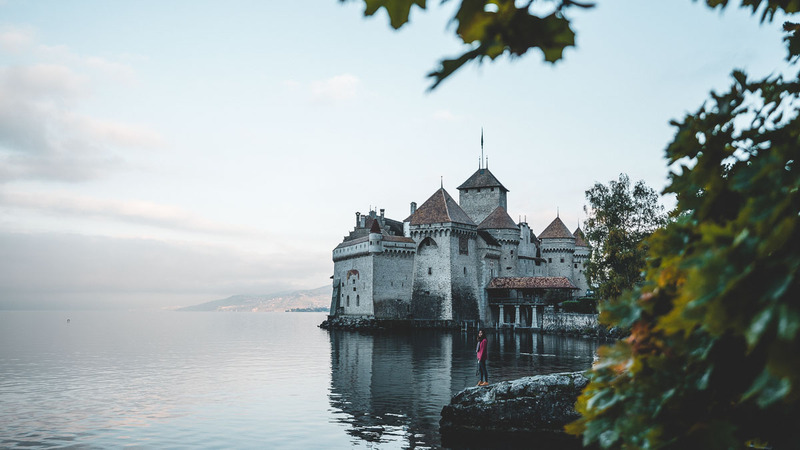 See Switzerland’s grandest castle of the Château de Chillon, stroll along the romantic streets of Vevey, and take a detour to the Leukerbad Thermal Baths before hitting the next city (Zermatt). Accommodation: Airbnb — private room in a shared apartment fit for three pax — ~S$85/night, five-minute walk from Montreux main station. 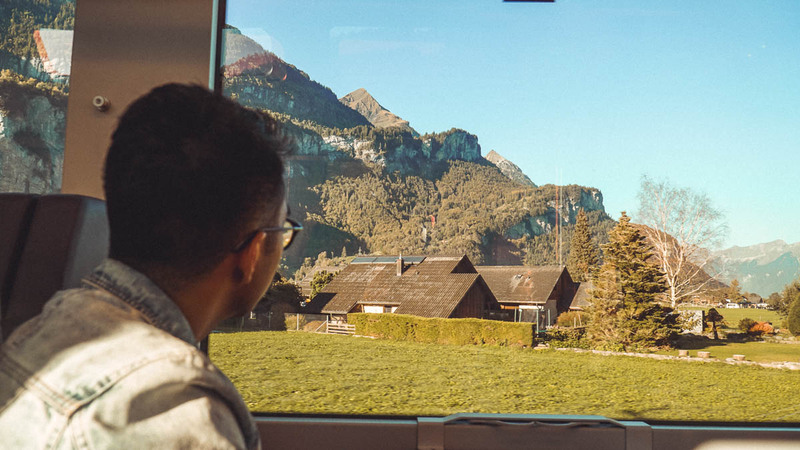 A famous route between Interlaken to Montreux is the Golden Pass Line which brings you along the dreamiest sights across Switzerland, complete with panoramic ceilings on the two-hour ride. The service runs once every two hours. If you miss this train, there are various local trains that go from Interlaken to Montreux but via Bern instead of Zweisimmen. Cost: CHF74. Free with Swiss Travel Pass. Château de Chillon is known as Switzerland’s grandest castle for good reason. Rich in history, the castle has been inhabited by three royal families. Take a guided castle tour or explore the highlights for yourself — be sure to check out the courtyard, great halls and chapel. Outside, take an idyllic stroll along the riverside. There’s a small beach to the left of the castle for photo opportunities, or a quick dip in the summer. Entrance Fee: CHF12.50. Free with Swiss Travel Pass. How to get there: Take Bus 201 from Montreux station (9 mins). Drop off at Chillon Station and you’ll be able to see the castle. 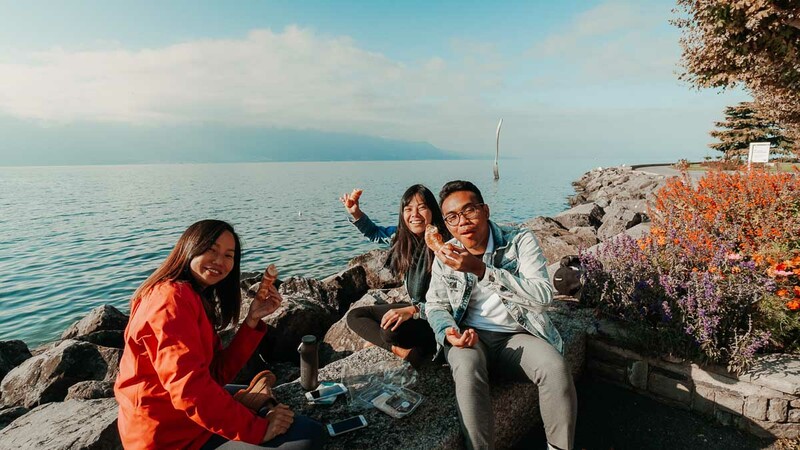 A charming small town right next to Montreux, Vevey is known as one of the ‘Pearls of the Swiss Rivera’ with vineyards, holiday accommodations and alfresco restaurants all over. Spot the Charlie Chaplin statue at the promenade as the iconic actor spent his last years there. The Nestlé Headquarters and the Alimentarium (CHF13, free on Swiss Travel Pass) — the world’s first food-themed museum — are also found here. 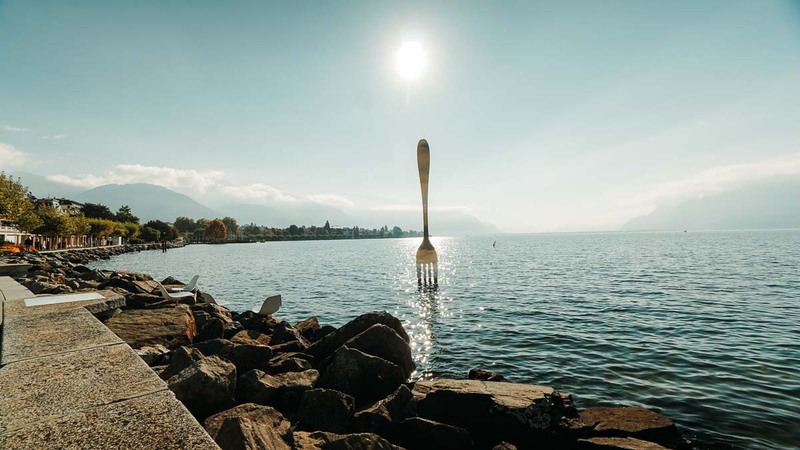 Look out for the “symbol” of Vevey at the promenade — the world’s tallest fork standing at 8m high! 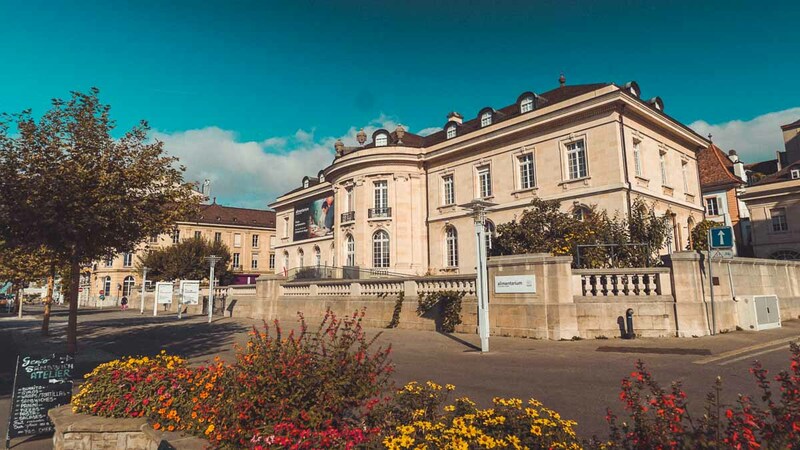 How to get there: From Montruex, take Bus 201 to Vevey (30 mins), or a train from Montreux Station to Vevey Station (10 mins) and walk to the main promenade area (9mins). After exploring Montreux and Vevey, we stopped by the Leukerbad Thermal Baths en-route to Zermatt. 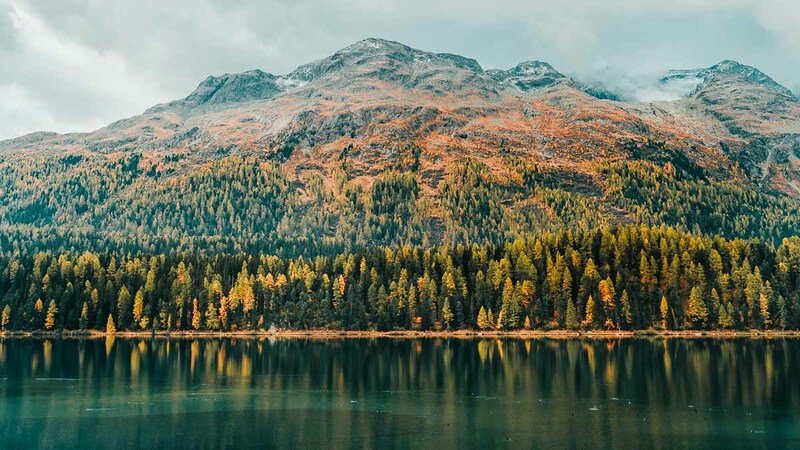 It’s the largest thermal spa resort in the Swiss Alps with natural thermal waters rich in minerals — just what you need after days of hiking and adventuring. Plus point: the bus ride there is free on the Swiss Travel Pass! 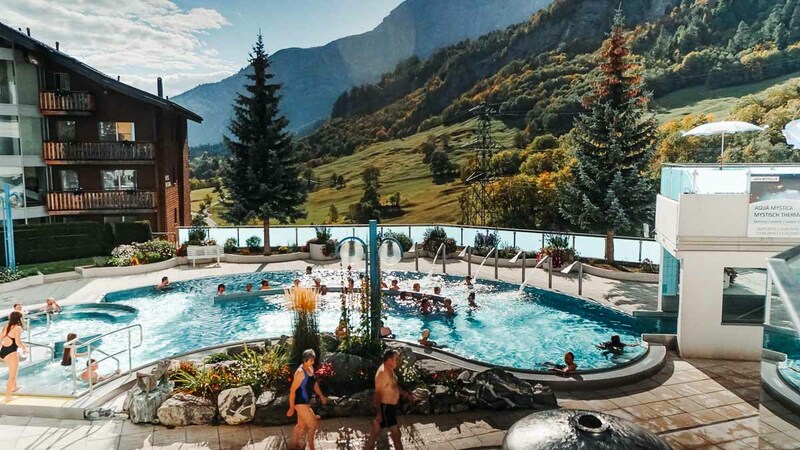 Indulge in 10 thermal baths (28 – 44 degrees) at the Leukerbad-Therme while being surrounded with mountainous views — especially fairytale-like in the winter. Not many tourists know of this gem, so enjoy the bubbling jets, cold tubs and saunas undisturbed! Entrance Fee: CHF25 for three hours. 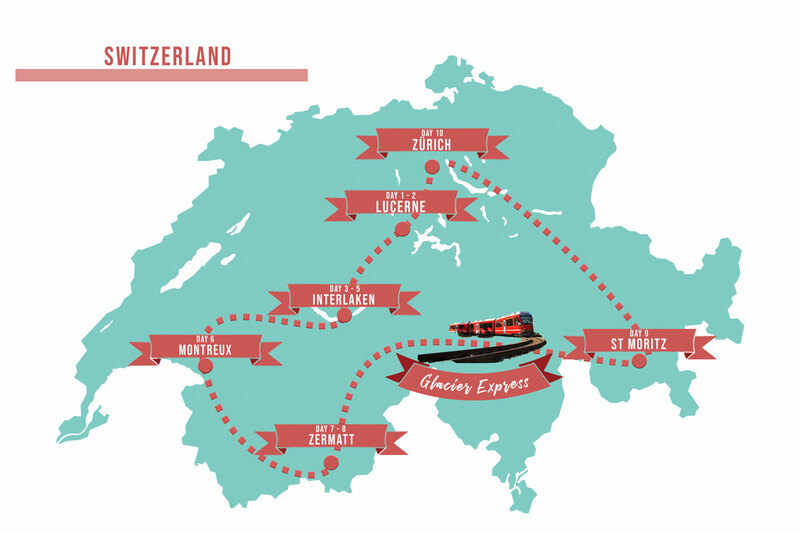 How to get there: Train from Montreux to Leuk. Change to the LLB bus (30-min ride) to Luekerbad. The bus has sufficient luggage storage at the bottom and there will be luggage storage rooms at the spa. *Pro-tip: Bring your own towel or you will have to rent towels at CHF5/towel. Home to the Matterhorn, a.k.a. the “Toblerone Chocolate Mountain”, Zermatt is a car free town that has ski slopes open all 365 days of the year. 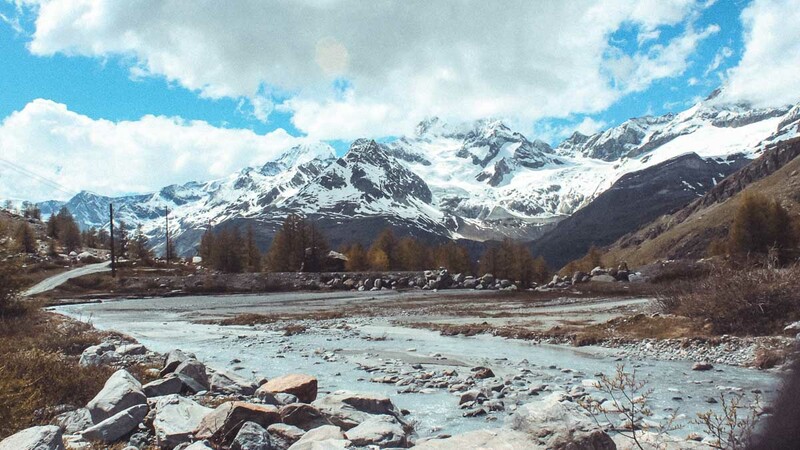 Skiing aside, Zermatt is also the gateway to some of the most beautiful hikes in the country. Plot your route around the vast Matterhorn landscape with this full map of the Matterhorn Paradise. 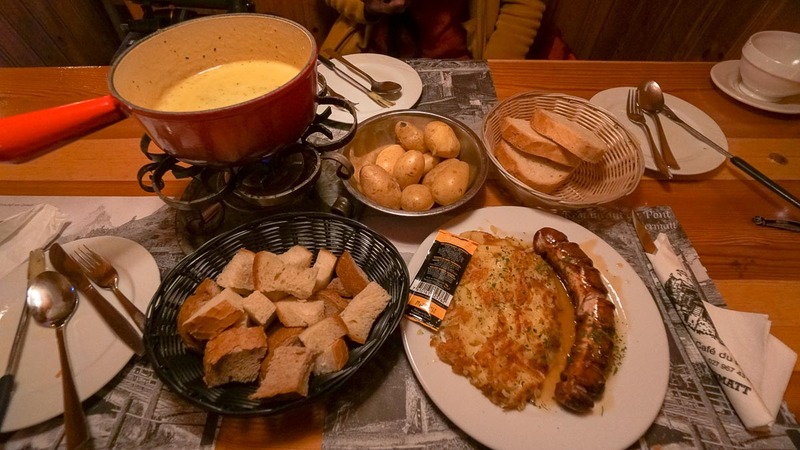 Highlights here obviously include seeing the Matterhorn up close, but it’s also a great place to enjoy affordable cheese fondue (Cafe Du Pont)! Transport: Take a train from Montreux to Leuk (1h 20mins) and stop at the Leukerbad Thermal Bath. Thereafter, take the train to Visp (~30mins). The final leg is Visp to Zermatt (~1 hour). 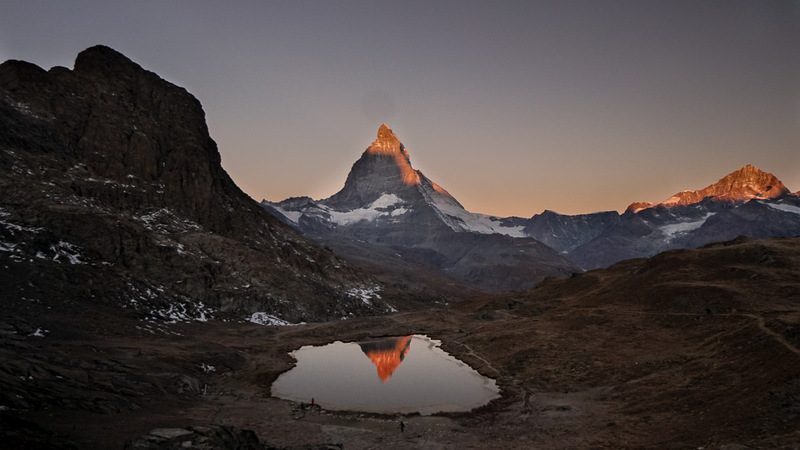 Of all the beautiful views we saw, the Matterhorn sunrise outshone them all (pun intended). You’ll see the clearest reflection of the Matterhorn in the still water of the Riffelsee. For this view, we took the first train at 7AM on the Gornergrat Bahn (Matterhorn Railway) from Zermatt village to Riffelboden Station. Riffelsee is only a 5-minute hike from the station. After sunrise, take the train to Gornergrat Peak, where Switzerland’s highest hotel, the 3100 Kulmhotel Gornergrat stands. At the top, admire the whole range of 29 4,000m-tall peaks! Cost: CHF49 (one-way). 50% discount with the Swiss Travel Pass. How to get there: Take the Gornergratbahn from the Bahnhofplatz Base Station (~15mins to Riffleboden, 33mins to the Gornergrat peak). The station’s located near the Zermatt train station and is easy to spot. An alternative hike is the 5-Lakes Walk, where you’ll see the Matterhorn in full glory at every turn. The five alpine lakes are Grindjisee, Grünsee, Moosjisee, Leisee, and Stellisee (tongue twister much? ), with Stellisee offering the clearest view of the Matterhorn. The whole hike is ~9.3km long, and takes about four hours to complete. It’s not difficult either, manageable even for families with children! Cost: CHF40. 50% discount with the Swiss Travel Pass. How to get there: Take a funicular from Zermatt Station to Sunnegga (2,288m). Transit to the gondola up to Blauherd (2,571m). Start the hike from Blauherd downwards towards Sunnegga, then take the funicular back to Zermatt. On the trip, plug in to the train commentary for information about various stops along the route. Pre-book a meal or pack your own lunch. 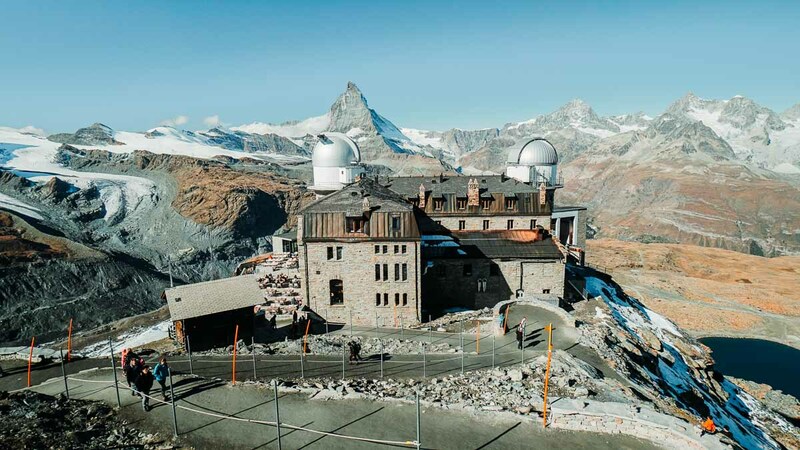 Beginning from Zermatt and ending in St Mortiz, highlights of the route include passing through the Oberalppass at 2033m above sea level, the Rhine Gorge (a.k.a the Grand Canyon of Switzerland), and the famous Landwasser Viaduct. Sit on the right side for the best views! The final stop of the Glacier Express is St Mortiz, a popular town with luxurious alpine resorts. 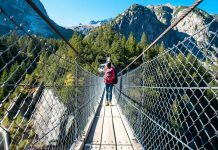 From here, you can take a day trip to the town of Filisur where you can hike to the famous view point of the Landwasser Viaduct. With 65m-high pillars towering over Graubünden, the Landwasser Viaduct is one of the most photographed railways in the world. 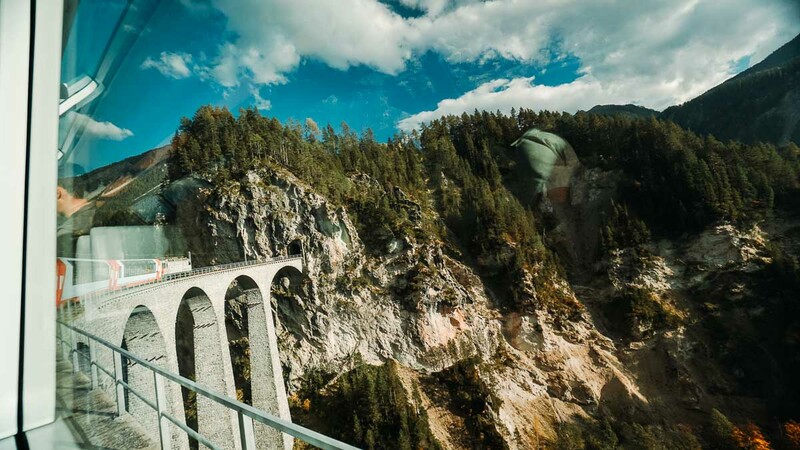 You may have glimpsed it while on the Glacier Express, but seeing it from above is a different experience. From St. Mortiz, alight at Filisur Village on the Rhätische Bahn. The first viewpoint just 15 minutes from the station is a frontal view of the viaduct. But our personal favourite is the the Aussichtsplattform Landwasserviadukt, which is a 40 minute hike to see the train from above. Cost: CHF21.80. Free with Swiss Travel Pass. How to get there: Board the Rhätische Bahn between St Mortiz and Chur (arrives every hour). Choose the last cabin, specifically designed with windows you can scroll down for photos. Alight at Filisur village, and walk to the viewpoint. *Pro-tip: Use the SBB app to check train timings, so you know when to catch the train as it passes the viaduct! A bustling city with historical charm, Zürich offers a change of pace after days spent amidst nature. We arrived at Zürich from St Moritz at night, and started the next (and last) day exploring the city. Besides taking a day trip out to see the Rhine Falls, we explored the Zürich Old Town and caught the sunset at Lindenhof. At this point, our Swiss Travel Pass had expired, so we got around either by public buses or by foot. 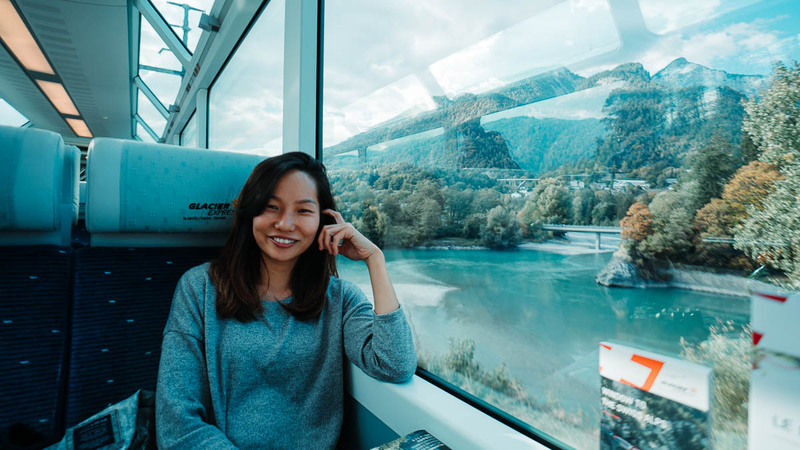 When leaving the city en route to the Zürich Airport, there’s a direct train from Zürich HB station (~10mins, CHF6.80) or you can opt for a private car transfer to get straight to your flight with convenience. Accommodation: Airbnb — private room in a shared home fit for 4pax, located in Adliswil. 17-minute train ride from Zürich station. One of the best day trips out from Zürich is to the Rhine Falls, Europe’s largest waterfall at 23m! We signed up for a half-day tour beginning with a pick up near Zürich main station. The drive is about 40-minutes before arriving at the entrance of Rhine Falls. Ride the panoramic elevator at the top of the Laufen Castle, down to the viewing platforms. 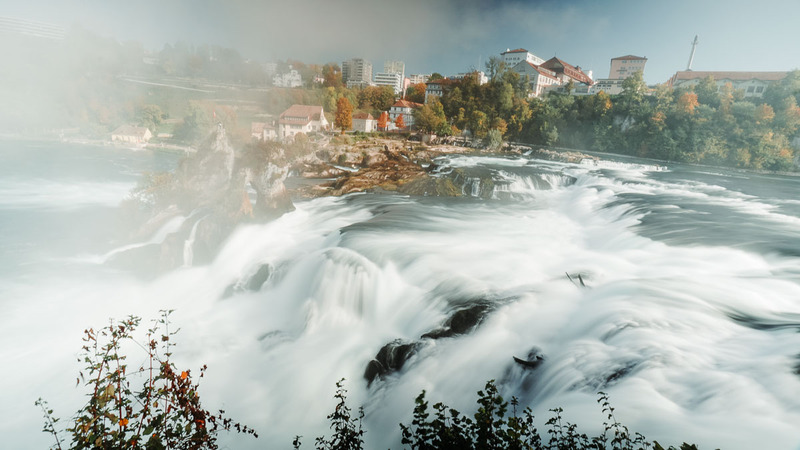 For a more intimate experience, take a boat ride to the Rhine Falls Basin to feel the full force of the falls at close proximity. Note that you’ll have to pay an extra fee for the boat ride (CHF10). If you’d like to top your visit to the Rhine Falls with exploring Zürich City as well within the day, you can opt for an all-in, full-day tour which includes a cogwheel train ride. Meeting Point: Zürich Central Station, Sihlquai Car Park at 8 1, 8005 Freienbach. Airport pick-ups available. Zürich Old Town offers a wide range of cultural, historical, and retail experiences. 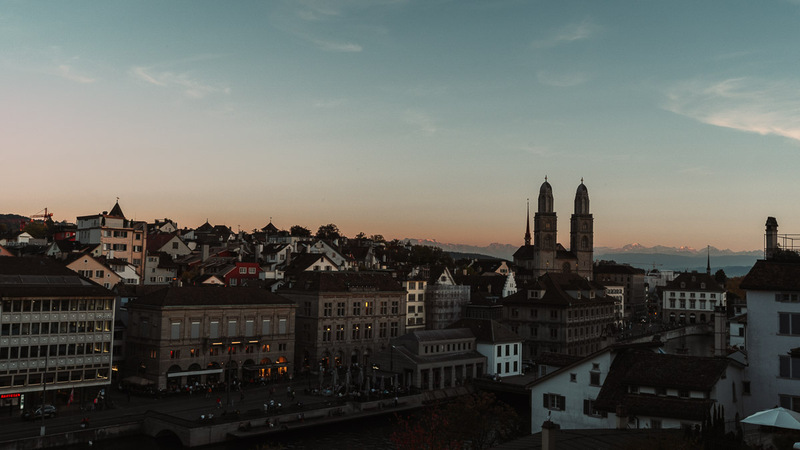 Look out for the twin towers of the Grossmünster (entrance fee of CHF2), one of Zürich’s most prominent historical landmarks, which you can climb up for a panoramic view of the city. Sightsee at St Peter’s Church (entrance fee of CHF5), which houses Europe’s largest clock-face. Stroll along Lake Zürich and enjoy views over ice-cream from Niederdorfstrasse, a shopping street filled with lively cafes. If you’re feeling fancy, head to the high street of Zürich — the Bahnhofstrasse, just to switch it up from the old town vibes. 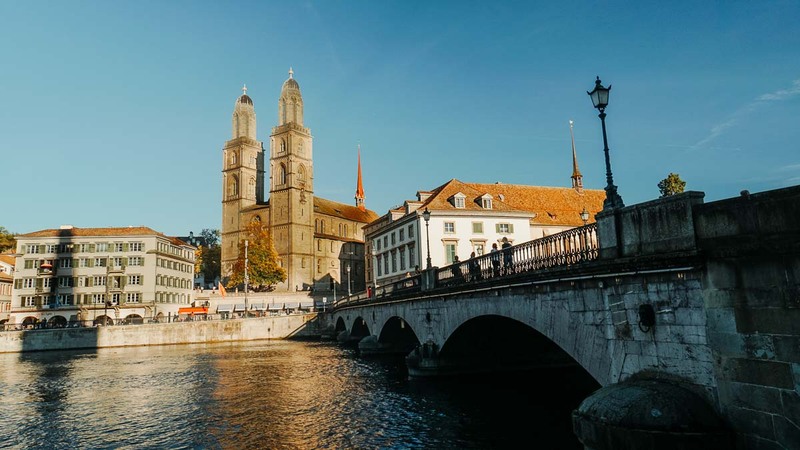 If you’d like to experience Zürich City while learning more about its history with a guide, go for this Zürich Day Tour. Featuring a 500m stretch of stores sitting underneath a viaduct, IM VIADUKT is a shopping concept that’ll impress the trendiest of people. The shops here are carefully curated, gathering ‘hipster’ vendors from all over the world to create a refreshing retail experience selling everything from clothes, bags, and sneaker-fashion to household/decorative ornaments. Opening Hours: 11AM – 7PM, 10AM – 6PM (Sat). Closed on Sundays. How to get there: First head to the main railway station (Zürich Quartierweg). Then, take the Sihlquai exit and walk in the direction of Zollstrasse. Cross Hafnerstrasse to Josefstrasse, and you’ll arrive (~20mins walk). FREITAG is famous for fashionable bags made from recycled truck tarps. 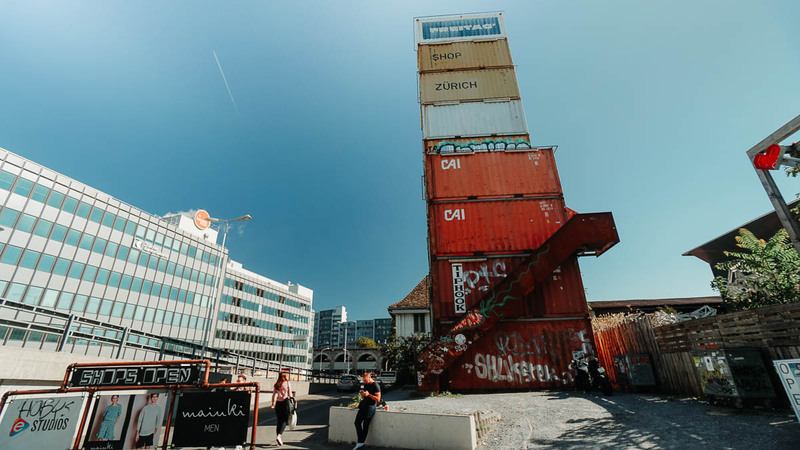 The flagship store in Zürich is iconic for its storefront design as the tallest shipping container structure in the world! The 26m structure is made by reclaiming shipping containers, and you can climb all the way up for a bird’s eye view of the city. 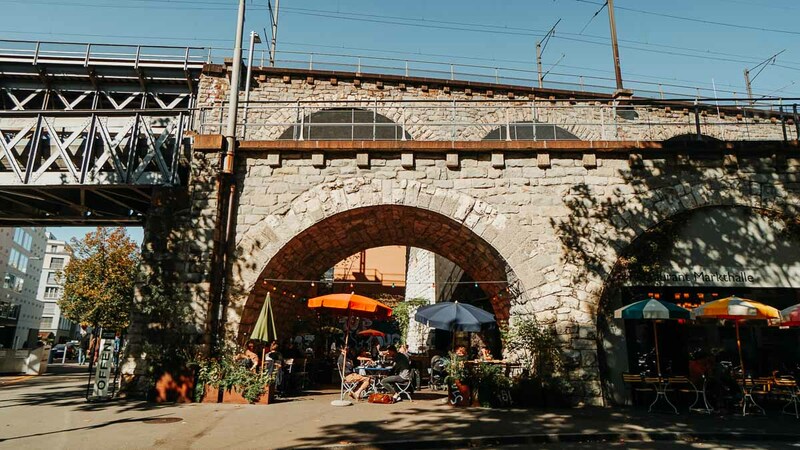 For dinner, you can head next door to the Frau Gerolds Garten, a beer garden where you can dine alfresco while exploring artsy installations. Opening Hours: 10:30AM – 7PM (Mon – Fri), 10AM – 6PM (Sat), closed on Sun. Walk up to Lindenhof Hill to see the cityscape of Zürich, particularly of the Limmat River and Niederdorf (medieval quarter). It’s a favourite spot for locals and travellers alike — sit on the ledge and catch the sun setting over Zürich city. Eating out anywhere in Switzerland sets you back at least S$20 per meal. For perspective, a simple main at an inexpensive restaurant costs at least S$22, water at restaurants cost S$5 a glass, and a McDonald’s meal goes for S$19. Our wallets would have experienced a money crisis scarier than ‘The Nun’ (more like ‘The None’). The solution: good ol’ supermarkets of Coop and Migros, which are found all over Switzerland. There are so many picnic-worthy spots in Switzerland anyway — great excuse to enjoy supermarket food outdoors! Think CHF4 salad pastas and CHF3 tuna sandwiches. Croissants, ham, and spreads in Switzerland are fresh and delicious for breakfast and lunch. Opt to cook dinner instead of eating out too. We were kids in a candy store (kitchen, rather) trying out different recipes! To our surprise, we actually managed to keep to a budget of ~CHF20/day. This was spent on groceries with a few restaurant meals of Cheese Fondue in Zermatt, a traditional Swiss restaurant in Lucerne and a comforting meal of McDonald’s. To be honest, food isn’t a highlight in Switzerland so we didn’t feel like we were missing out on much! 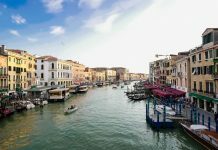 The cheapest accommodation options are hostels and Airbnbs. Renting a whole Airbnb apartment can be pretty costly, but a room is usually good enough, even for the three of us! Hostels are great because they’re not only affordable, but also often conveniently close to train station and offers access to travellers’ necessities — kitchen, laundry, and free breakfast. Plus point: you get to mingle around with other like-minded travellers as well! Hostels in general cost about S$50–70/pax per night in a shared dorm, which is considered reasonable for Swiss standards. Travelling within or between cities inevitably incurs heavy expenses — one ride from Lucerne to Interlaken could easily cost S$41. We overcame this by planning our route around maximising the Swiss Travel Pass. For a flat price, we got all unlimited rides on buses, trains and even discounted entries (many up to 50%) to some attractions! After doing the math, we realised we saved a whopping total of ~S$971 with the pass. Seriously! The cheapest and most fuss-free option is to get the E-ticket Swiss Travel Pass via Klook. Confirmation is almost immediate and you have the convenience of accessing the ticket on your phone. Not to mention, they’re also 5% cheaper than getting the physical tickets! *Pro-tip: If you’re staying with an Airbnb host or hostel, ask for a Visitor Card. This gives you free transport within the city for the whole duration of your stay. Every city and town in Switzerland was so unique from each other — and everyday was a surprise. Also, travelling across the country via rail, and waking up to a new destination each time honestly felt magical. 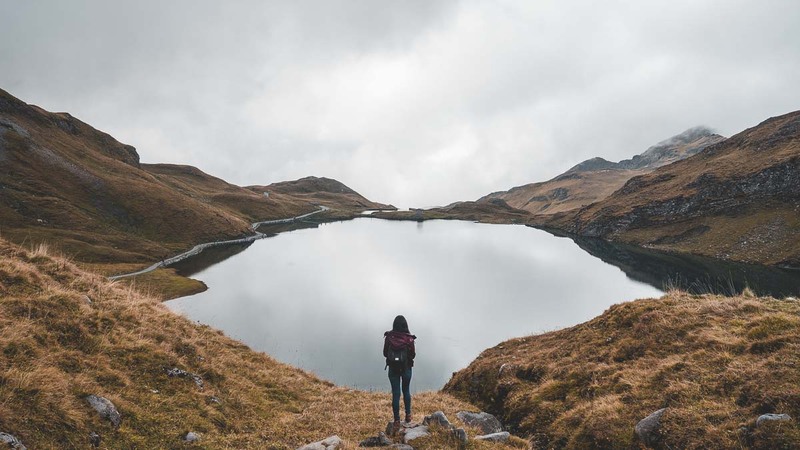 We hope this Switzerland itinerary inspires you to try out this Swiss adventure — an experience filled with unfiltered natural beauty, amazing outdoor adventures, and rich cultural offerings! Loves writing. And the great outdoors, adventuring into the paths less travelled. Goal in life is to have a golden, sun-baked glow. Wishes she was a musician or dancer in an alternate universe. Has a soft spot for cats, and coffee. Does it includes 2 way plane ticket from Sg to Switzerland? Hi Nikita, we didn’t include flights this round because flight prices tend to vary a lot and there wasn’t a flight promo we could share this round 🙁 hope it’s still helpful! Hi Cherie, may i know which date/month for your trip at Switzerland ? also your return ticket is from the same airport? Yup it is! They were in Switzerland the first 2 weeks of October. Hi Tabitha, we were there around the 1st week of October so the weather was comfortably cool. & yes we flew in and out from Zürich but I’ve seen itineraries that recommend an open jaw between Zürich and Geneva. Can you share itinerary with me? I’m going there with my children in March 2019.